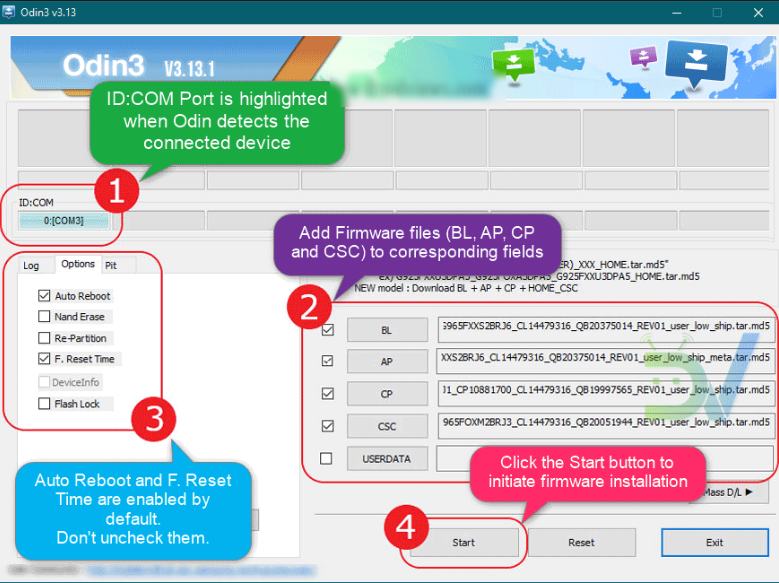 Samsung Odin is the most trusted and popular flashing utility for Samsung smartphones. Users flash their Android smartphones due to various reasons. As you know you can flash either a stock ROM or a custom ROM through the Android flashing process. There are both advantages and disadvantages in the flashing process. However, users are very interested in flashing and try various flashing tools to acquire the flashing result. There are several flashing utilities that claims bests result for specific smartphones brands. Among them, Samsung Odin is specific for Samsung Galaxy smartphones. Samsung Odin is one of the official programmes that Samsung has been recommended for users to flash the device firmware under Samsung Knox Standard SDK. Knox Standard SDK allows users to access a comprehensive collection of Mobile Device Management (MDM) features over 1100 API methods. It helps users to touch the hard policies of the company by controlling the device. Samsung has not revealed the official version of Samsung Odin yet. But the programme is available in a number of third-party sources. The key purpose of Samsung Odin is to act as engineering firmware to flash stock firmware (.tar or .tar.md5 extensions)on Samsung Galaxy smartphones when they are bricked or stuck. In addition to the key purpose, users can use the programme for the following purposes. The programme is only compatible with Windows platforms. But you can execute the programme on the MacOS using Wineskin which comes from Wine authors. Wineskin is an open-source compatibility layer which comes as freeware to run the programme on Unix-like operating systems which has been designed to run on Microsoft Windows. 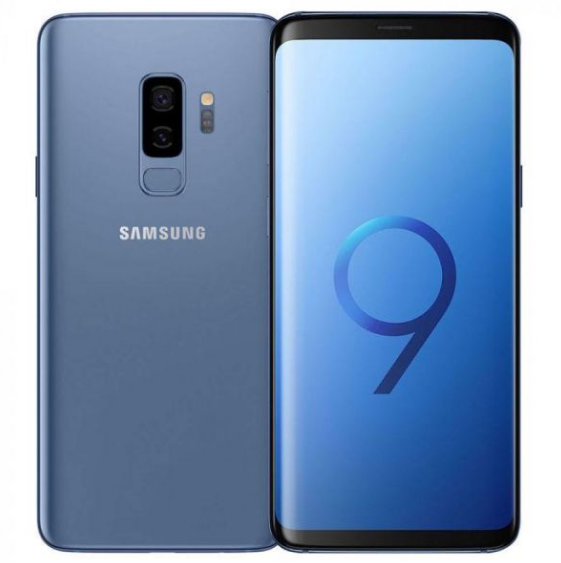 Samsung Galaxy S9 Plus is one of the most popular and attractive smartphones. Samsung released it in March 2018 with 5 versions including attractive hardware and software features. It supports Android Oreo to Android Pie and running on Exynos ( international version) and Qualcomm Snapdragon ( American and Chinese versions) chipsets. You may find some button on the Odin interface after launching the programme. Each button denotes names as follows. You have to use the respective button to load the respective file. Each firmware file begins with exactly the same shortcode of each button. When we need to transfer a load of varies data to a device, it is not that easy to use Bluetooth for it takes long to share heavy files. Moreover, if we find out a third-party application, it might force you to work with limited file sizes and even formats that recommended. But it is a troublesome limitation to select and waste your time either. Therefore, we brought an implement call Samsung smart switch apk for you to easily carry out tasks. It is the safest and the sharpest manner that we found to suggest you here. When you are with iOS, blackberry, Windows or Mac, on the other hand, make sure that both devices installed the app. That’s all matters. The app compatible with almost all Samsung devices that stand with minimum requirements. When there is an Android device above Android 4.0, there is nothing further to worry as you have power to set up the tool there. Moreover, when you come to Blackberry, you too can become a user of the best file transferring utility in app stores right away. Moreover, when it is Windows, it should be Windows 10 or higher. Mac OS X is the next operating system that compatible the implement. Moreover, you might anxious there are certain file formats and sizes. It does not matter even you need to share the entire load to a device. Contacts, videos, music, photos, calendar events, audio files and so on are there in the compatible list. It should be whatever without any limitation. And then when we consider its recommended file sizes, you can encounter whatsoever size. If you are with an Android device, it is a blessing for you can easily arrange whatever feature easily even without any further requirement. Therefore, when you are with smart switch you will realize how easily you can do file shares and receive as well. The apk file of the application can find out from the Google Play tore. Unlike some other similar applications, you cannot find out this from any other third-party resource. Even the official Samsung smart switch host as well suggested the Play store link while not having a download link there. Just make sure that both devices install the utility and click send or receive key on the certain device that you wish to do. At the end of the story, we remind you that this is the most excellent application that ever offered for Smartphone users. It capable to use with more than ten languages around the world. And even it capable to support users even with Windows, Mac and Blackberry as well in addition to Android and iOS. Though there are a couple of requirements, you can easily apply them and freely perform unlike any other identical utility. And for the most part, it capable to make you smarter than ever. All you have to make sure is that both devices that desire to connect each other holds the smart switch. Transfer files between Smartphone and Tablet is a little bit tough though there are a heap of file sharing applications. But also, there we can find out a couple of amazing tools such as Samsung smart switch that even capable to support us to share files between varies platforms like iOS, Blackberry, Windows, Mac and Android. It is easy and surrounds well-organized performances that can make the procedure easy and smooth. However, in this guide, we are going to let you know its performances, supportive areas and how to use with Android and iOS. The utility can set up on your smartphone to share varies files instantly just for free from Google Play store. When you are Android users, there you might have many other third-party applications that support file sharing. But, there are a couple of amazing features that this became one of top rated ones there. The first thing is its free support for both root and non-root Android users. When you come with a load of files, some of applications might cannot hold that much or else get slower during the process. But Smart switch will not put you in troubles for it can carry out any size of collection right away. Moreover, file format is not a significant part that we have to worry about for it accepts whatever to share. Therefore, having Samsung smart switch on your device means a lot since it let you connect with whatever other model even while it is not a Galaxy. Of course, thanks to the developer we are capable to arrange shares between a Galaxy and an iPhone as well. When you make sure that the Samsung contain the app, there is nothing required to transfer your stuff between iPhone and the Android. It does not matter that iOS contain restrictions for smart switch capable to go through even. When you need to connect with the Galaxy device to send or receive data, there are two key methods as iCloud and USB cable connectivity. Those who are not familiar with iCloud backup creation and transactions better use the cable to connect with. While iOS 10 and higher got separated guidelines, the previous ones too should follow their specific directions. When you are with a huge collection of files to transfer them, it is must go through the cable network as the developer recommended. Samsung smart switch is an interesting application because of its features that ate significant and interesting. When you need to share any size of file collection and that comes in whatever type, this will help you there in minutes even without waste your precious time. It does not matter whether connected devices are rooted or non-root. You can connect via a USB cable and an adapter or else create a Wi-Fi connection. Moreover, the tool performance will not get slow unless there is a technical trouble behind the tool performance. Download the latest version of the utility and get ready for easy transactions. The utility we brought you today is the most rated application of the year 2013 among the most excellent Android applications of Lifehacker’s contest. Of course, there is no doubt that it is being the same for the astounding feature it brought us. In fact, it capable to support Android users to set aside their battery wasting concern by hibernating the entire handset system in few clicks. We call it Greenify apk download which available for both root and non-root systems. If you were suffering since far, here is the best resolution that you must slip your eyes from end to end. Here we go. Hibernate is the specific feature that you can only find out from Greenify. There is no other application which capable to hibernate apps for your in that advanced way. However, hibernate is kind of a state that the tool brings those surrounded third-party applications. For a period until you want those entered apps to alive, this feature will keep them sleep to technically save your battery life. There is nothing to doubt since its technical usage is an expert for the certain arrangement and will not put you in troubles by killing those hibernated apps forever. You can bring them back in active mode whenever you need. How can we use Greenify apk download? It is not that difficult to set up on whatever Android handset above Android 4.0. And there you have to confirm root permission that you took if you expect a huge package to deal. But it does not matter whether you are non-root. The application got separated packages for both modes. However, the journey can commence with a few clicks by setting up the utility on the device frame. And then you can launch it and move between varies functions and enter those specific third-party apps that you do not often use to the list. For they are the prime reason behind your device battery exhaust, you can easily determine the difficulty thanks to Greenify. After settling it to the handset, you will realize the easiness of keeping the battery for a longer than previous. If you are a user with root permission, then you can gain the extract of the implement since there are some conditions when you are with a formal system. the best thing is the recent version of Greenify can spread its wings and cover even Android P as well. The latest version 4.5.1 of the tool can download for free from the web or Play store on your Smartphone or the Tablet. With the arrangement, there are a couple of highlighted functions as follow. The all-new update has been simplified the user setup for Android P users. And Android O users can hide sticky alerts or Service Guardian. Moreover, the Oreo can accurately analyze applications with improved features than previous. “Working” app state as well expanded with more features. Those background sync task of applications can now perfectly detect devoid of any barrier. And also, hibernation became smarter than ever even with media playback exposure. Users those who are excited about enhancements that they can apply behind their default Android capable to deal with root. During the last couple of years, rooting became one of the most popular Android operations because of its startling talent that draws us a heap of amazing features. However, we are going to consider a method that users can become rooted users but in a superior approach. We call it Magisk Manager and that offered by the famed XDA developer topjohnwu. Unlike common rooting tools in the market, users can even hide their status to easily deal with some of applications and movements that require non-root status as well. Furthermore, there is a special managerial part in the tool which will support you to handle each and move on. As the key feature that experts pronounce, Magisk package is the world’s first systemless root approach. It supports users from the depth to enhance possibilities and expand their experience in the technological types of equipment. Moreover, refer to following features that are unique and amazing behind this dealer that you can set up on your Smartphone in minutes. MagiskSU is the key that supports the user to root their system. It is just a single click that all you have to do to accomplish the result. So Magisk Hide is the part that capable to hide your status and support you in some cases. This is one of the remarkable features as it helps you to bypass Google SafetyNet plus deal with any root unsupported applications. And then there is Magisk Mount. Using this, the user capable to apply any alteration to the headset even devoid of involves its partitions. Moreover, Magisk Manager is there as the hub that which moves through updates and Magisk Hide list will be managed through. These are unique functions that a user cannot bring when they are with a common rooting tool. The Magisk manager as well has very own limitations and conditions that a user should be careful. Android Lollipop which is the 5th generation up to Oreo the 8.1 are the specifically recommended Android editions that users should cautious. Apart from these, there is no any specific device brand that suggested. How to download and install Magisk Manager? When the user interface displays that the procedure successfully completed on your handset, you can realize that you can tap on the “Reboot System” key to reboot the device. So the Magisk application will be there when you open it. So now you can start work with such enormous root permission that even can hide and deal in both root and non-root status. We are going to unwrap about another remarkable flashing tool available in XDA which namely Smartphone flash tool. The key role of the utility is flash stock ROM kits, recovery files and tune up issues related to the software of devices. But this is only for handsets available with MediaTek chipset support. The latest version 5.1828 of the tool available in the web for both Linux and Windows running PCs in size of 53.6MB. However, to flash using the utility, the device should be with root permission as it is the key to apply changes to the system. What’s more about Smartphone flash tool? As the same manner that Android device models got very own flashing approaches, MTK devices too got SP flash tool that offered by XDA developers. So then, this is the sole supporter for you all, that you can use to resolve whatever trouble. Apart from flash support of the utility, there are a couple of further uses as well. Thus, you can flash recovery files that too based on Scatter files for customizations. Also, the Memory test is the next that capable to use for RAM verifications behind external memory. And you can set parameter for movements such as read and write data codes. When you need to format or reset the handset, this is the unconditional utility for that particular use as well. So if there is any trouble related to your MediaTek Android phone or the tab, check whether this can help you. How to flash with Smartphone flash tool? Now you can close the tool interface and remove the cable from the device. Check whether the ROM kit properly established on the device. Users with Samsung smart handsets are lucky to have such a wonderful and supportive utility call Odin download. It is one of famed flashing tools in the market specifically introduced for Samsung Smartphone and Tablet replicas. Apart from flash, there are several other special movements as well that you can count by going deeper. However, it has been recently settled an edition with the support of Android 8.0. So our narration today will cover the story you desired most since far. Those fellows looking for the best application that lets them modify the entire system of the device better check this out. If you missed version 3.13.1 here is the complete guide. Android Oreo is an interesting ROM kit to be flashed. But as often, most of the users needed to start go through Oreo through they yet to reach OTA updates. And even flash with a ROM package will safely set you on an advanced level devoid of those often troubles you have to face behind over the air updates. However, thanks to the most recent version of tool Odin, we could simply do the flashing process to set up Oreo. And even you can even go through a Mac OS X machine either. Moreover, all these perfect dealings can even set over S8 and S8 Edge devices too. How to flash Oreo with Odin download? Here is the complete guide to flash Android Oreo on your beloved Samsung Smartphone. Follow each step carefully to accomplish thriving results. It will commence the procedure and end within a few minutes. Keep your eyes on the interface as it should display PASS! when the process finished with a successful result. And then you can remove it from the cable to check out its performance that modified during the process. Hello everyone. Hope you were there with our previous clarifications as well that exposed several amazing Android applications. So this is another that we call Root master apk download to be applied to become a rooted user in minutes. It is a free utility comes in a tiny size that even a newbie can simply suggest on their beloved devices. Capture the latest versions 3.0 that contain several enhancements for a better support. Why we need Root master apk? There are thousands of Android rooting applications on the web. So, root master as well one of that remarkable supporter. It can settle any Smartphone or a Tablet either in minutes. We call the procedure single click rooting. Of course, there are some further identical tools as well in the market that can apply just with one click. But for that, the utility should be an easy and a user-friendly one. That’s why we gladly suggest you Root master. Unlike many apps in the market, this only available an APK type tool which did not require the user to compile a PC and so on at all. You can direly set the app to the device and put your finger on the certain button to get root permission right away. That’s it. Furthermore, you will permit to capture all root-only stuff devoid of any trouble from then. How to root using root master apk? Since you do not have to prepare a Windows machine like PC based applications, no need to come up with a USB cable or anything related. Just bring the particular handset. When you will be able to become a root user, there are several uses that you can add on your handset. We simply call them root-only apps for it required root permission. The first thing is you should know key functions of a device that rooted. Manage the system is important. When you get the key to open doorways, you can even unroot when you need to return to normal status. So we are here today with one of the brave rooting applications introduced by @wushi, @memeda, @Qoobee, @idl3r and Kingoroot team. It flawlessly supports Samsung Galaxy S6 Edge and S6 models that contain mature ROMs. However, Pingpong root download is exploits based rooting application that we can accomplish within few steps. It is not a desktop-based tool that can directly set up to the device system. You can download the latest version to make your procedure trouble-free and victorious. And even it supports more models plus a constant performance. If you are with 93 ROM versions, then you are lucky enough to get the hold up of this courageous implement. Why we need Pingpong root download? There is no doubt that Pingpong root tool is the most brilliant alternative to root Samsung Galaxy S6 models. The best thing is it can support you to accomplish the result without touch the KNOX security counter at all. Consequently, there is no doubt that it became the best deal among hundreds of utilities that swiftly get an eyeful the KNOX counter. However, all the user has to do is download the implement as an APK on their S6 with further requirements and follow its simple instructions to become a rooted client. As an important note, keep in your mind that the tool’s kernel exploit that it brings into play for movements has been patched. But, if you are lucky enough, you will not face troubles if your handset still available them. How to root using Pingpong Root download?